Julep Maven July 2014 Selections are Open - The Poolside Collection! 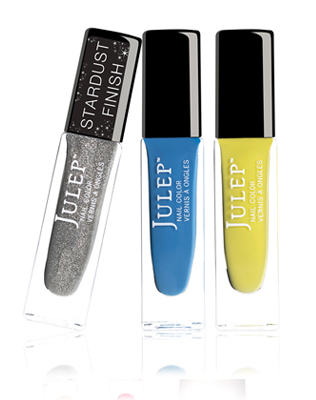 This month Julep has a selection of polishes and products for us that fit with the idea of having fun in the sun... Bright colours, solid finishes, and some much-needed hydration! Plus check the end of the post for more info on how you can sign up for the Julep Maven program now and score $80 worth of free products! Exciting!! Bare Body Milk: An ultra hydrating body lotion for thirsty skin. The lightweight, fast-absorbing formula leaves a soft, silky finish that’s not heavy or greasy, and our signature Beach Tonic fragrance lets you smell like summer all year long. Bare Body Milk: So perfect for summer skin, our lightweight lotion leaves a soft, silky finish that’s not heavy or greasy. Enriched with milk thistle, citrus oils, and our fresh Beach Tonic fragrance. Mint Condition Pedi Crème: A must-have for pedi season, this fast-acting foot crème exfoliates and moisturizes with alpha hydroxy acids, shea butter and coconut oil. Note: these are not all the add-ons available this month, just the new/featured ones. Check out the source for lots more beauty/polish sets that were put together for this month. Bare Body Polish (7 oz): Get rid of rough stuff with a vigorous (but gentle) scrub powered by coconut shell powder, pumice, and skin-loving botanicals. Lightly scented with our summery Beach Tonic fragrance. Bare Body Milk (6.8 fl oz): So perfect for summer skin, our lightweight lotion leaves a soft, silky finish that’s not heavy or greasy. Enriched with milk thistle, citrus oils, and our fresh Beach Tonic fragrance. Clean Slate Polish Remover Pads (10): Each packette includes one disposable, pre-soaked felt pad. Our travel-friendly polish remover is infused with aloe vera to moisturize and condition. 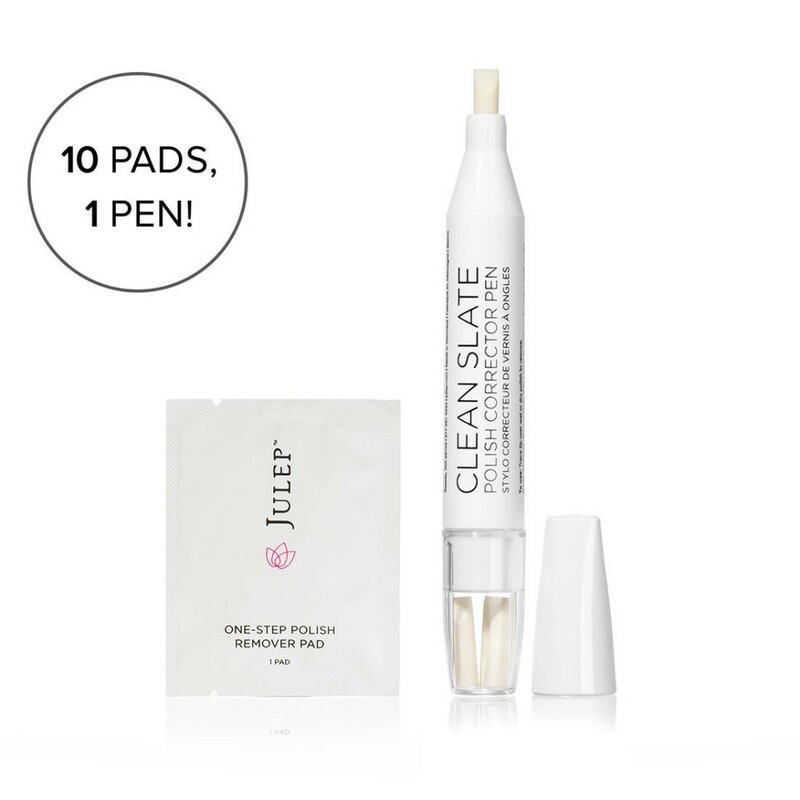 Clean Slate Polish Corrector Pen: An easy, convenient way to erase mani mess-ups, this corrector pen delivers conditioning nail polish remover through a chiseled precision tip. Includes three refill tips. Brilliance Glycolic Hand Scrub: Gentle enough to use every day, this dual-action exfoliating scrub instantly reveals brighter, smoother skin—like a facial for your hands! Natural apricot seeds whisk away dirt, oil, and dead skin cells while a potent concentration of glycolic acid works to fight signs of aging. 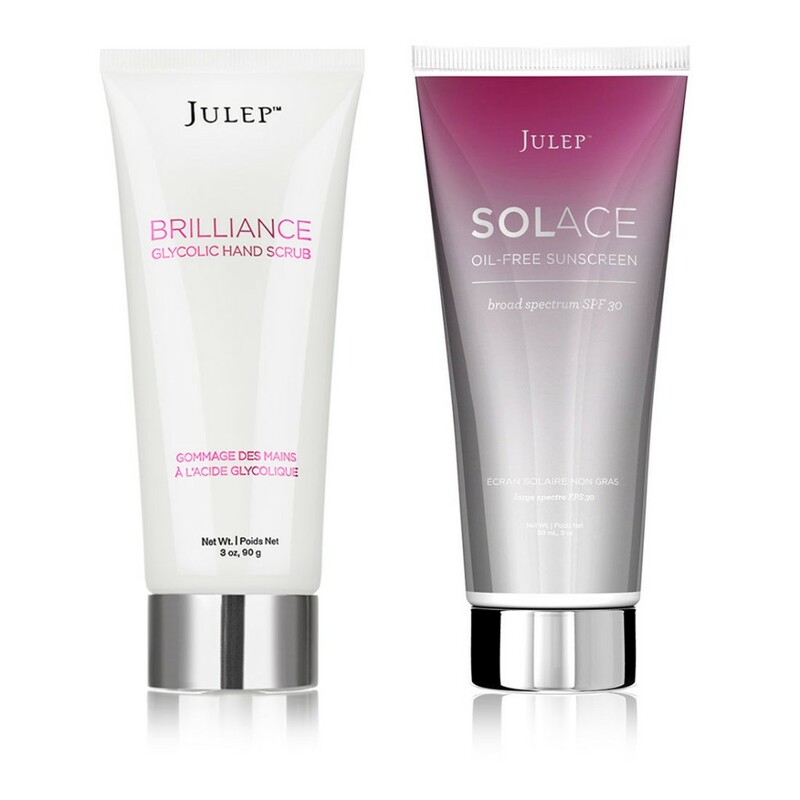 Solace Oil-free Sunscreen with SPF 30: Stock up on SPF 30 with our vitamin E-enriched, oil-free sunscreen with broad spectrum UVA/UVB protection. 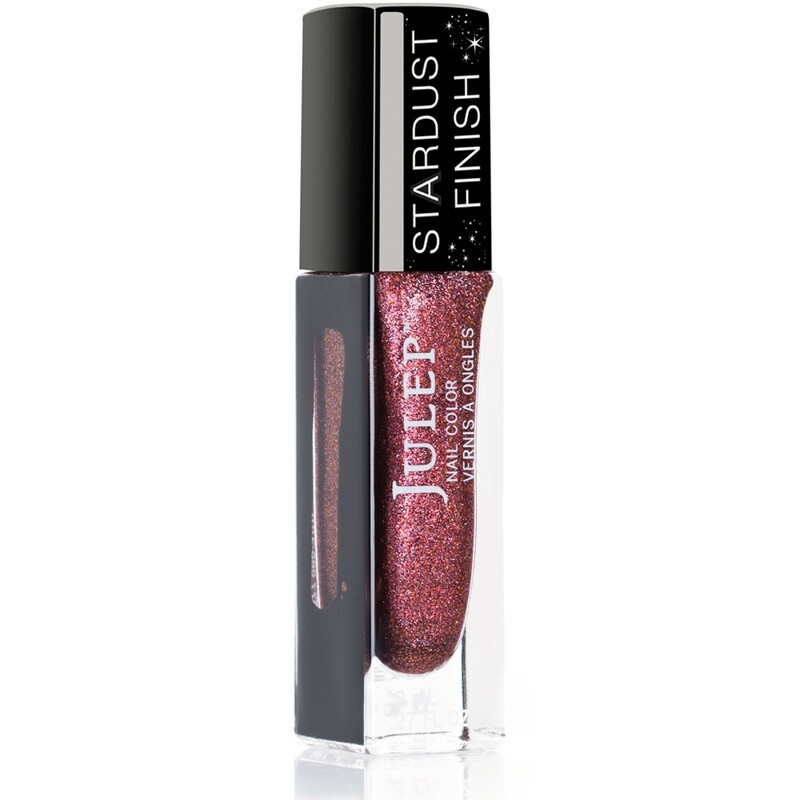 You can see more information and swatches of all these shades on the official Julep blog. Julep has recently changed the way their subscription service works. Previously the Julep Maven box was $19.99 monthly and you could sign up for one, three or six months. As I mentioned in the May Selection post Julep has now added a new tier to their boxes called My Maven for $24.99/month (or $59.97 for three months if you pre-pay - this works out to the original $19.99/month). With My Maven you can swap out any product in your box for a different product, making the box fully customizable. There's also a Maven Luxe level for $39.99/month ($34.99/month if you sign up for 3 months at a time) which will give you a fully customizable box plus one additional item of your choice. If you want to pay $19.99/month now you need to pre-pay 3 months at a time. Right now if you sign up as a Maven, Julep has an awesome deal on where you use the code SHIPSHAPE at checkout to get $80 worth of nautical-themed additional products for free... If you've been thinking of signing up, now is the time! And if you're interested in signing up for the Julep Maven program you're welcome to use my referral link. So what do you think of the choices this month? A lot of the polishes seem like copies of previous shades, and the beauty items aren't really jumping out at me... I really wish they had put the sunscreen in as the beauty item this month (or put it in as a swatch-out option!) because I'm certain I would pick up a box then. As it stands I'm actually debating skipping this month. Hmmm... Decisions decisions. Let me know what you think!! Thanks for visiting! I should have the swatches up for the June 2014 box up within the next couple of days! :) See you then! I actually like most of the colours but they're probably not too unique. I enrolled after they got rid of unlimited skips, and last month I decided I was already bored with them (after only 3 months!) and ended my subscription. I'm switching to Rainbow Honey's mystery bag subscription instead. While Julep has a couple colors this month that I like, they're pretty basic, so I could find them just as easily elsewhere at my leisure. No regrets. Yeah, I tend to just get them now out of habit... I would like to switch to a different program, but since I'm in Canada we have so few options. And the ones that ship here usually add extra $$ to ship outside of the states, and I can't justify spending that much money on things I might not even like. :( But I love seeing and hearing about the boxes other people get!